We Are a Front Line Introvention Youth Club Helping Youth to Help Themselves Through Active Program Participation. 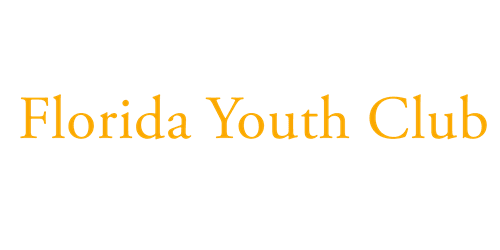 Florida Youth Clubs of America is a unique educational program for teenagers. Over the years, we have helped young people from all backgrounds become more responsible citizens.Working within the structure of the home and family, teens participating in our program learn many important basics that will prepare them better for the future. We believe that by organizing a teenager's free time and keeping them busy and involved with positive activities, they won't have time for negatives i.e...drugs, alcohol and gangs. F.Y.C. is not a tax funded program. We are a youth program that is totally self supporting. Our trips and activities are funded totally by local neighborhood house-to-house fundraisers of our candy, cookies and gift items. We believe that a drug free nation is possible and that the ideal place to start is with our youth. F.Y.C. is a non-profit organization which provides its members the opportunity to receive the following benefits: Learn a Career Skill, Earn Their Own Money, Attend Drug and Alcohol Awareness Seminars, Participate in Community Service Projects, Receive Awards and Prizes for Outstanding Service, Prepare for a Responsible Future and Citizens & Enjoy F.Y.C. sponsored recreational activities. What Our Supporters Are Saying About Us! I teach Advanced Placement Government at Lake Minneola High School and it would be an honor to have such a respectful and hard-working young man in any of my classes. He is a credit to both his parents and your organization. Thank you for all your work on behalf of these young men and women. Christitan made an excellent presentation...nice kid and hope this program is working for our youths. We live in the Laureate Park area in Lake Nona, hope I have his name right!! I was just had the pleasure of being visited by a charming member of your organization - Dorell Seay - who was making his final fundraising rounds.